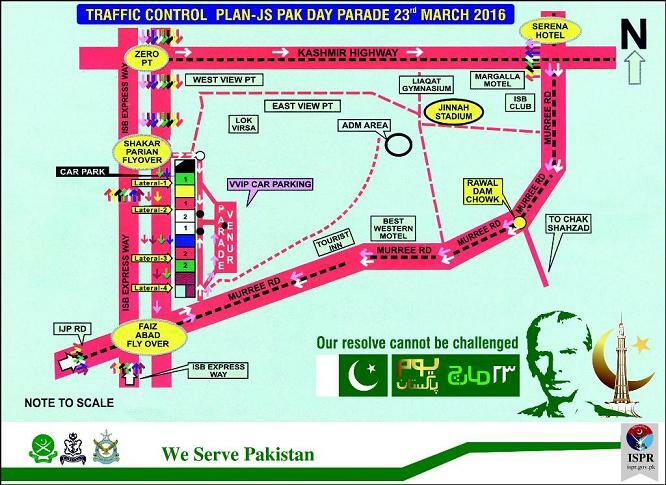 Islamabad/Rawalpindi (Tuesday, March 22, 2016) – Pakistan Day Parade is being held on Wednesday, March 23 in Islamabad. Due to special day, traffic plan is developed for the ease of commuters. 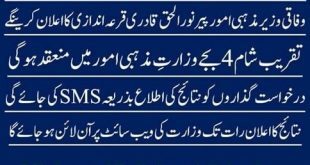 Detail Traffic Control Plan is given bellow for Kashmir Highway Islamabad, Islamabad Expressway and Murree Road Rawalpindi.